When we work on the street, we realize that it can be disruptive to traffic, and to those who live and work in that area. However, our street repair work is critical for many reasons. From preventing a gas leak to modernizing our pipes, all of the work we do is to benefit you. We are committed to maintaining and improving our pipelines, because we are dedicated to keeping our customers and communities safe, first and foremost. 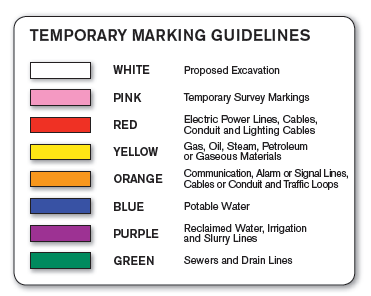 Prior to excavation, the PA One Call Program assists Peoples by temporarily marking existing utilities on streets and sidewalks, so that we can safely work around existing lines. Given that our projects are completed in multiple phases, you might notice a "temporary fix" on a street where we've been working. Don't worry—we'll be back! A temporary fix does not look as pristine as a permanent fix, but we use these temporary fixes so that residents and community members can return to a normal schedule more quickly. Using a temporary fix also allows us to come back at a later date to pave the street if, for example, the weather is not cooperating. Once we come back to complete the permanent fix, you will see how a temporary interruption leads to long-term improvement! Our goal is to ensure that our customers are satisfied by the work that we have done, and we make every effort to make that happen. Check out the photos below to see the difference between a temporary fix and a permanent fix.